The practice of naturopathic medicine or naturopathy is based on the philosophy that can be summarized as helping the organism heal itself in the least invasive, most fundamentally curative manner possible. This approach is not tied to any particular therapy or modality, but rather is oriented to a rational blend of vitalistic and mechanistic principles working with the whole person, and educating the patient in the ways of health. Naturopathy may include several elements: balneotherapy, hydrotherapy; relaxation exercises, movement therapy, reflexotherapy, spinal manipulation and massage; nutritional advice, vitamin and mineral therapy; herbal medicine/phytotherapy; psychological counselling, stress management and lifestyle regulation therapy. Doctors specialised in naturopathy may also use other CAM modalities including neural therapy, acupuncture and homeopathy. About 15,000 doctors in Germany have been trained in naturopathic medicine. Naturopathic medicine is used in many rehabilitation clinics and at eight acute care hospitals in so-called ‘naturopathy departments’ and even in regular hospitals in Germany. Doctors with a background in naturopathy and about 70 percent of the German GPs prefer to prescribe herbal medicines/phytopharmaceuticals. 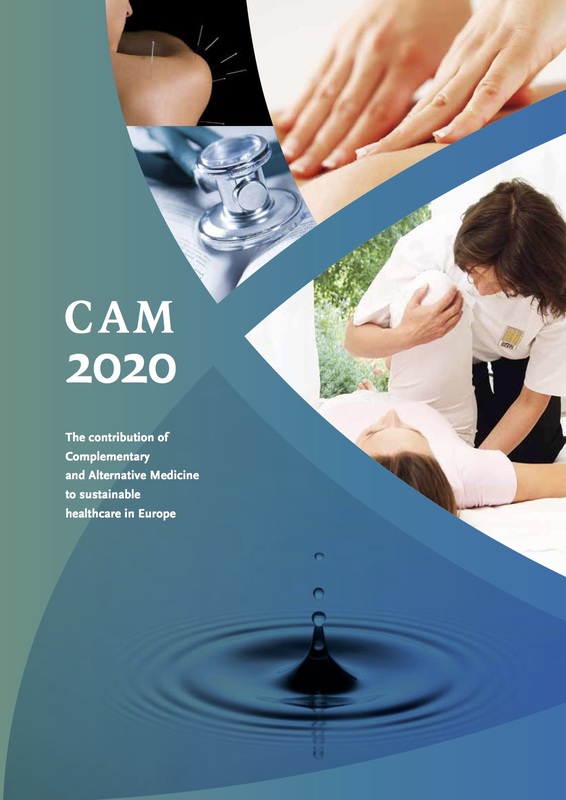 A few hundred doctors in other EU Member States have taken training and education in naturopathic medicine. In 1998 the Code of Social Law recognised naturopathic medicine as a distinct therapeutic system. There is a specific naturopathic curriculum for medical doctors in Germany recognised by the Medical Chamber leading to an official additional medical qualification. Various associations provide postgraduate training courses in the diverse therapeutic elements of naturopathic medicine and have developed quality standards. There are two professorial chairs of naturopathic medicine in Germany (Rostock, Duisburg/Essen). Naturopathic medicine is provided in several hospitals in Germany. Scientifically supported drug monographs have been compiled by the Interdisciplinary Expert Commission of the Federal Health Department in Berlin (Commission E). On the basis of the 330 drug monographs published by Commission E, the European Scientific Cooperative for Phytotherapy (ESCOP) now proposes European monographs, making acceptance of phytotherapy by European legislation much more probable. Chiropractic physicians or chiropractors practise a hands-on approach to health care that includes patient examination, diagnosis and treatment. Chiropractors have broad diagnostic skills and are also trained to recommend therapeutic and rehabilitative exercises, as well as to provide nutritional, dietary and lifestyle counselling. Chiropractic is practised under specific legislation in some countries, ie Belgium, Denmark, Finland, Sweden and the United Kingdom. In other countries chiropractic is regulated under common law; and in still other countries, such as Italy, there are de facto local regulations, administrative rules, or court-stated guidelines. Osteopathy promotes the body’s own natural healing processes. It is a system of diagnosis and treatment aimed to provide relief from problems caused by malfunction of the body’s inter-related muscular, skeletal and nervous systems. Treatment involves gentle hands-on techniques, which may include manipulation, for a range of painful and sometimes disabling conditions. Ayurveda (the 'science of life') is a system of traditional medicine native to the Indian subcontinent using methods for achieving physical, mental and spiritual health and well-being. Ayurveda emphasises prevention and a holistic approach to therapy and is practised as a form of CAM within the western world, where several of its methods, such as the use of herbs, massage, and yoga are applied on their own as a form of CAM treatment. There are a few hundreds of medical doctors in Europe practising ayurvedic medicine. Tibetan medicine, Sowa Rigpa (the ‘science of healing’), is a system of traditional medicine native to Tibet (and adapted in parts of India, Nepal, Bhutan, Mongolia, Himalayan regions, Siberia, etc.) that employs a complex approach to diagnosis and utilizes lifestyle and dietary modification, medicines composed of natural materials (e.g. herbs and minerals) and physical therapies (e.g. Tibetan moxibustion, Hor-me therapy etc.) to treat illness. There are a few hundreds of medical doctors in Europe practising Tibetan medicine.